Eight Afghans expelled from Germany arrived in Kabul on Wednesday as Berlin resumed deportations of rejected asylum seekers from the war-torn country months after a huge truck bomb hit the Afghan capital. 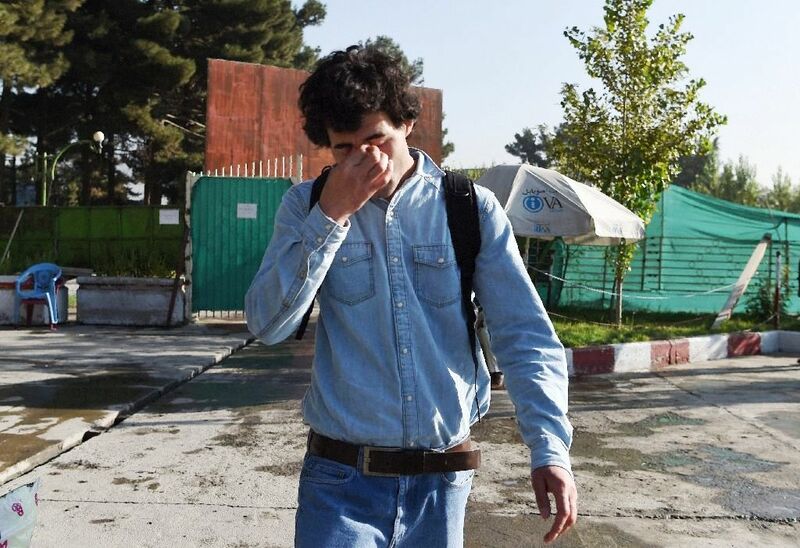 Germany suspended the controversial expulsions after a sewage tanker packed with explosives detonated near the German embassy in Kabul's diplomatic quarter on May 31, killing around 150 people and wounding hundreds more. The latest group was the sixth wave of repatriations of Afghans from Germany since December under a disputed Afghan-European Union deal aimed at curbing the influx of migrants. After arriving at Kabul airport on a charter flight, the deportees were escorted by police to a car park where an official registered their names. Some of the men carried small backpacks while others had no luggage at all. "They told me that there is no problem in your country and you can live there so you can't stay here anymore," Mohammad Jamshidi told AFP before getting into a taxi. Reza Rezayi said he was deported after his wife accused him of beating her. "Despite having a witness I couldn't prove it in the court because Europeans only listen to the lies of women," Rezayi said. The International Organization for Migration confirmed the arrival of "eight returnees". Twelve had been scheduled to arrive on Wednesday, according to Islamuddin Jurat, a spokesman for Afghanistan's refugees and repatriations ministry. "We don't know if there was a last minute change in the schedule or some of them were taken back," Jurat told AFP. The men face an uncertain future in a country struggling with high unemployment, a weak economy and masses of refugees being ejected from Pakistan and Iran, as well as hundreds of thousands of others uprooted by war. A hundred Afghans have now returned to the country after their asylum applications were rejected by the German government, according to official data. Chancellor Angela Merkel has been battling to bring down the numbers of asylum seekers after the arrival of more than one million migrants -- mainly from Iraq, Syria and Afghanistan -- hoping to find refuge in 2015 and 2016. While Germany granted safe haven to most people from war-torn Syria, Berlin has argued that it can safely repatriate people to Kabul and other parts of Afghanistan, even as Taliban and Islamic State militants terrorise much of the country. "In every corner of Europe the priority is given to the people of Syria. They need only three months to get registered but Afghans can be deported after years of staying in Germany," said Jamshidi, one of the deportees. The latest deportation comes as Merkel's conservative alliance maintains a strong lead in the polls ahead of Germany's general election on September 24.